The Brown Palace Hotel may not actually be a palace, but with its deep-rooted history, famous houseguests and luxury appeal, it’s about as close as one can get in Colorado. 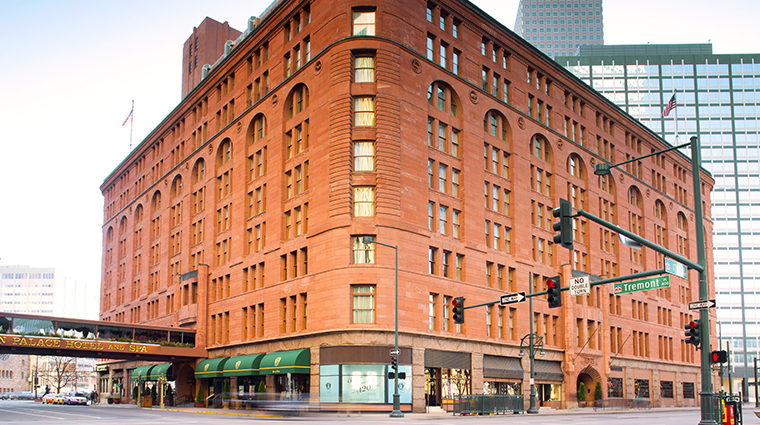 Denver’s most historic hotel, The Brown Palace has hosted presidents, royalty and celebrities since 1892. 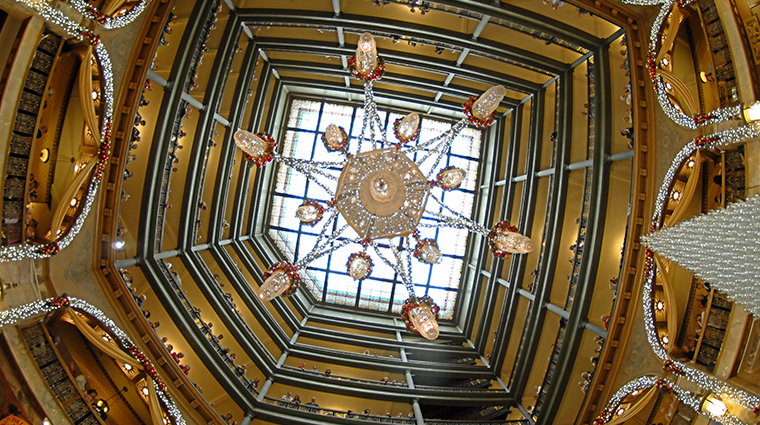 The elegant lobby features a magnificent stained-glass ceiling that tops off six levels of cast-iron balconies. 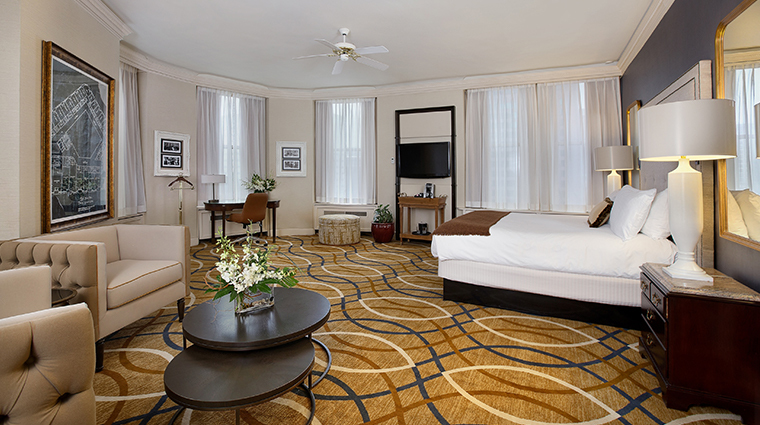 The luxurious guestrooms have two styles — Victorian or Art Deco. The award-winning Palace Arms restaurant features signature favorites like rack of lamb and pan-roasted veal. 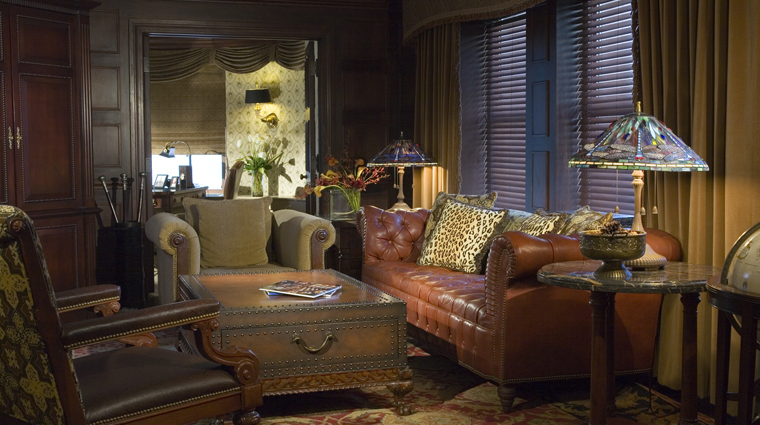 Cigar aficionados take to the library-like ambience of the Churchill Bar. Afternoon tea is accompanied by live harp music. And Ellygnton’s Sunday brunch is legendary. After a busy day of exploring nearby attractions like the 16th Street Mall and the Museum of Natural History, the full-service spa is the perfect place to unwind with a deep massage, body treatment or facial. The property underwent a $10.5 million renovation in 2015, which included a fresh makeover for public spaces, hallways and all 241 rooms. The marble-lined bathrooms feature special bath products made with honey harvested from the rooftop hives. You can’t stay at The Brown Palace Hotel without taking part in afternoon tea. Scones, tea pastries and tea sandwiches are artfully prepared by the hotel’s culinary staff each day. The Churchill Bar features an extensive list of vodkas, single-malt scotches, small-batch bourbons, and premium spirits and wines. A selection of more than 60 cigars is also available, along with a customized humidor and an elaborate ventilation system. Ship Tavern offers a host of local beers, including a pour made specifically for the property by Hall Brewing Company. 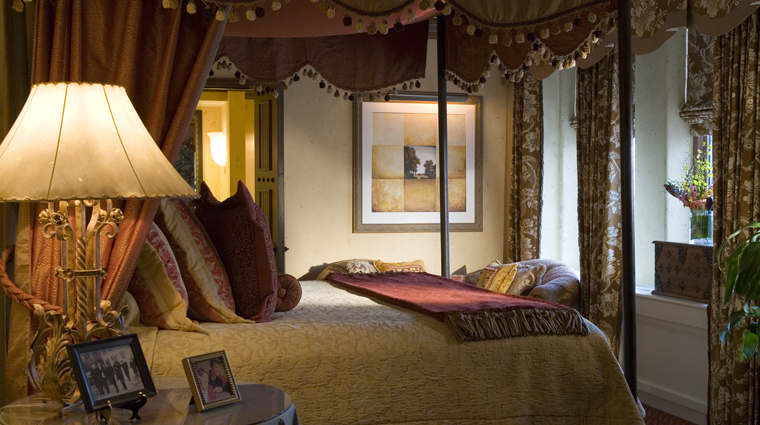 Soothing sandstone, topaz, cream and sapphire liven the linens, carpets, walls and furniture of the rooms. 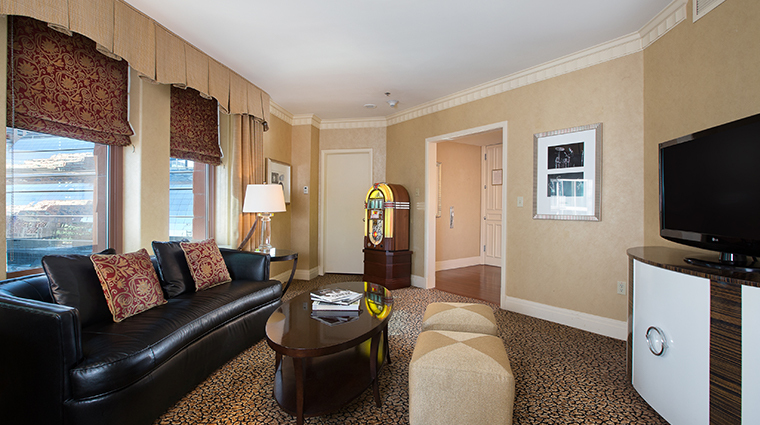 Rooms feature reading lights, flat-screen HDTVs, personal charging stations and a plush arm chair or loveseat. 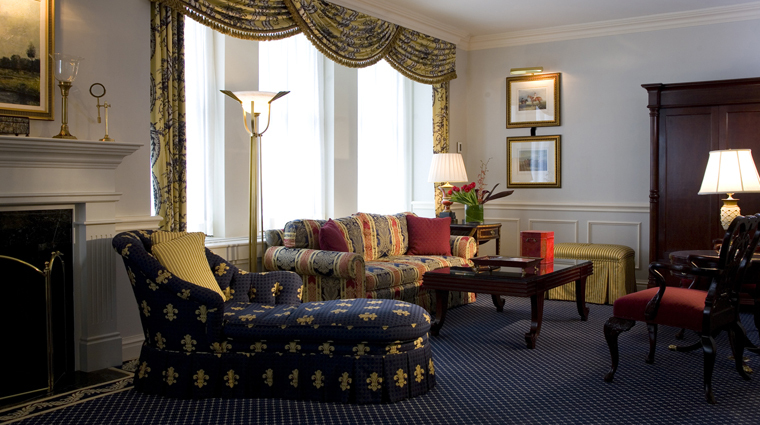 There are three presidential suites that were actually once occupied by presidents: the Eisenhower suite, the Roosevelt suite and the Regan suite. The Forbes Travel Guide Four-Star hotel has been visited by almost every almost U.S. president since Teddy Roosevelt in 1905. For fine dining at the Forbes Travel Guide Four-Star hotel, try the five-course tasting menu at the Palace Arms, an acclaimed restaurant that serves contemporary American cuisine with a focus on Colorado’s fresh, local produce. Signature dishes here include the rack of Colorado lamb and filet of King Canyon bison. 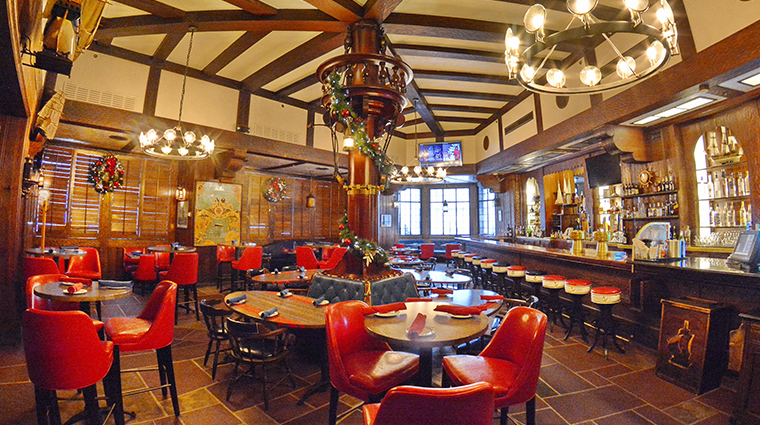 For more causal fare, the Ship Tavern serves lunch and dinner in a vintage pub atmosphere. Known for its prime rib, the Tavern has a great selection of micro-brewed beer and wine, and it’s also a great place to catch a game on TV or take in some live entertainment. The best spot for a drink at The Brown Palace Hotel is at the Churchill Bar. This sophisticated retreat at the Forbes Travel Guide Four-Star hotel offers a country club-like atmosphere with bookshelves lining the walls and red leather wing-back chairs and couches.